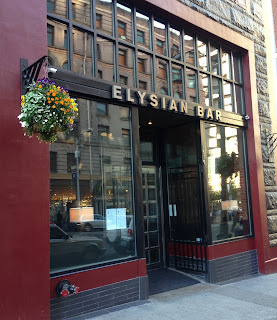 Update: This location of Elysian closed in 2018. 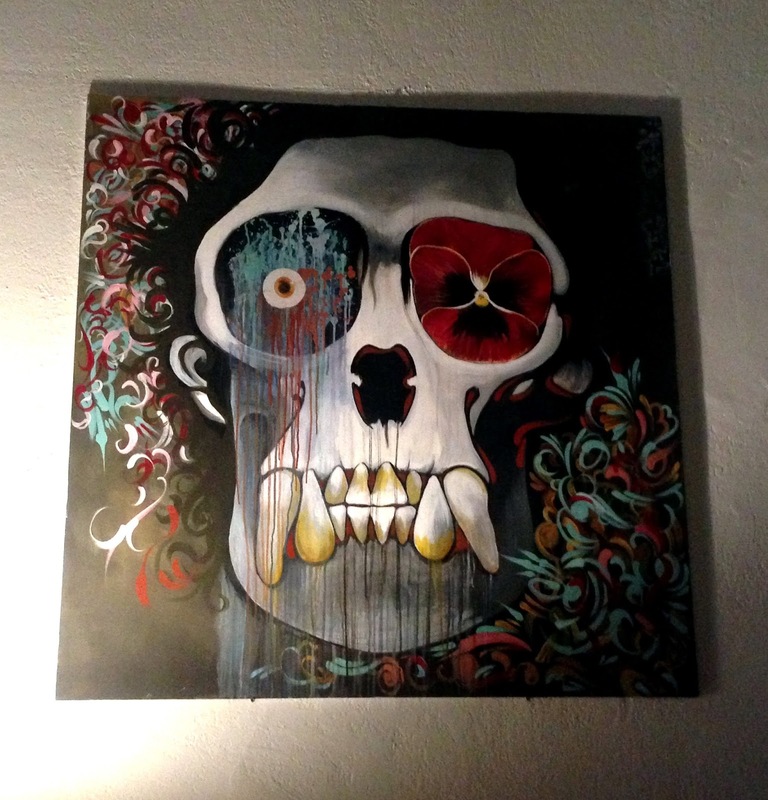 The previous bars were pretty typical brewpubs, with lots of nice beer choices and modern pub foods. But this space, resplendent in brick, wood, curving seats and a large spiral staircase, has a more elegant vibe and a more formal menu. It also emphasizes cocktails, with no less than Murray Stenson manning the bar, in a program run by former Zig Zag owner Kacy Fitch and hiring additional well-regarded local bartenders Connor O'Brien, Adam Fream, Jason Diaz and Dennis Brand. The downtown location even includes a couple hefty doormen, whom one friend who lives very close appreciated for their work keeping the area free of some scary looking characters on her street. And yet I'm not sure that the Elysian Bar is for me. The cocktails were quite nice, and I assume remain so, even though the peripatetic Stenson had soon moved on, along with most the other recognizable bartenders. The food is also fine and the setting relatively elegant, though not quite romantic. But for me it doesn't seem to have established a personality -- and it has a lot to live up to in that regard sitting in the space that once held the Art Bar and Noc Noc. Nevertheless I am much more comfortable in the old building than I am in shiny modernist settings, and if it is able to stick around for a few years -- and no Budweiser paraphernalia pops up -- perhaps I'll get to know it.